Gurcharan Singh was born in 1949 at Patiala, Punjab. He studied at Government College of Arts and Crafts, Chandigarh. In 1986 and 1989 he exhibited solo at Gallery 7, Mumbai. In 2008 he had a solo show at Jehangir Art Gallery, Mumbai. In 2012 he exhibited Twilight Tales at The Viewing Room, Mumbai. In 1984 and 1986 he took part in the International Biennales in Tokyo, Soviet Union, Cleveland and the Seoul Contemporary Art Show. In 1988 he participated in the Festival of Contemporary Art at Covent Garden, London. In 2008 he took part in Moscow to Mumbai at Eugene Gallery, Seoul. In 2009 he participated in Sacred and Secular and in 2010 he took part in Black is Beautiful at India Fine Art, Mumbai. In 2017-18 he was showcased in Nudes: assorted works at Gallery 7, Kalaghoda in Mumbai. In 1976 he received the National Award. 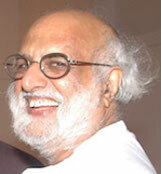 In 1991 he received the Padma Shri from the Government of India, New Delhi.